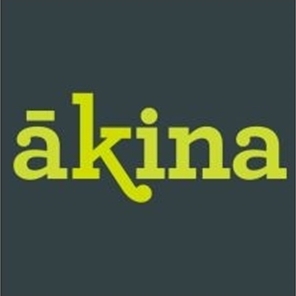 The land and buildings housing New Zealand’s only dual-purpose clock retailer and café have been placed on the market for sale. The Clock World shop and Longitude Café in the South Waikato township of Ohaupo are located in a character brick building that was originally built some 112 years ago as the town bakery. The Ohaupo property overlooks State Highway 3 - the main route linking Hamilton some 14 kilometres to the north and Te Awamutu some 12 kilometres to the south. The land and buildings, but not the Clock World retailing business or adjacent Longitude Café entity, are now being marketed for sale by auction at 11am on June 28 through Bayleys Hamilton. Bayleys Hamilton salespeople Alex ten Hove and Mike Swanson said the 190 square metre Clock World/Longitude Café complex sat on 1,179 square metres of freehold rural-zoned land, and generated a combined annual net rental of $28,500 plus GST. Both the Clock World shop and Longitude Café at 96 Great South Road are leased by the same tenant, who has just signed a new three-year lease on the property. Clock World has been repairing and selling clocks for 50 years. Mr ten Hove said the nice retailing nature of Clock World and its neighbouring food and beverage businesses were symbiotic – driving customers to each other. Several hundred metres of roadside parking was available immediately outside the property, while the café business had a private outdoor courtyard surrounded by shrubbery and vegetation. “It is quite common to see customers stopping for food and beverage selections at Longitude Café popping into the Clock World showroom ‘out of curiosity’ to see what’s there after they have enjoyed a fry up of bacon, eggs and hash-browns, and similarly, clock shoppers utilise the café for refreshments after their retail-based visit. It’s all about convenience. “The boutique nature of Clock World’s range of wall time pieces perfectly suits the intimate and warm rustic environment sustained by Longitude Café with a vast range of clocks displayed for sale on the café’s feature wall. add to the charm of the clock shop. A solid concrete addition to the original structure evidently housed the noisy bakery mixing equipment but now houses the gentle and rhythmic ticking of grandfather clocks,” he said. Mr Swanson said that a large rear portion of the flat property was a grassy paddock which could, subject to council approval, be used for residential development. “Ohaupo is very much a quintessential rural town – supported by the likes of a take-away outlet, general store, garage and motor vehicle repair workshop, antique shop, early childhood centre, and a hairdresser. There is also a retirement village – many of whose residents are regulars at Longitude Café,” Mr Swanson said. 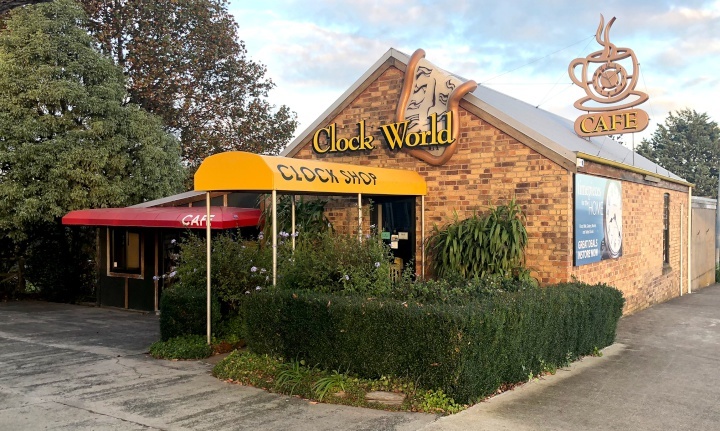 The land and buildings housing New Zealand’s only dual-purpose clock retailer and café – in the Waikato township of Ohaupo - have been placed on the market for sale.